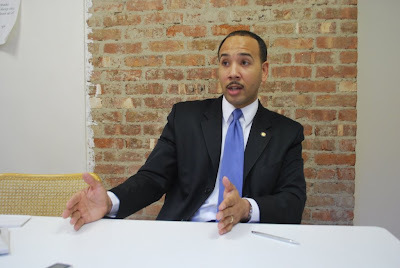 Bronx Borough President Ruben Diaz Jr., is one of four New York State elected officials participating in a new Intergovernmental Energy partnership announced today. The partnership is dedicated to green energy innovation and helping New York become the new green energy leader in the United States. The new partnership’s mission includes conducting a statewide inventory of companies and universities already engaged in green technology projects, promoting greater collaboration throughout New York State on green energy efforts, and showcasing specific innovations that have already taken place. The next meeting of the partnership will be scheduled for Washington, DC, where a summit for all partcipants will take place. Labels: green initiative, new york state, ruben diaz jr.